Rosslyn has been doing aikido for some time and she had a demo earlier this evening! Most of our posse was able to turn out to watch, so I got some photos of her doing her thing. She's helping bring out the mats. 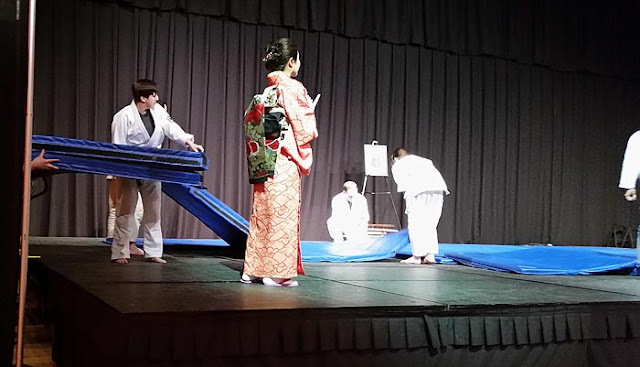 Performing some katas (I think that's what they are called).